Do your carpets need freshening up? Do you have spots, stains or general soiling that need to be removed? There are so many carpet cleaning companies to choose from and finding the right Battle carpet cleaning company can be a daunting task. At AAAClean we provide an outstanding carpet cleaning service, using the latest equipment and at an affordable cost. Don’t just take our word for it. Read these reviews from our satisfied customers. We have a small but growing team of Battle carpet cleaning operatives who are exceptionally knowledgeable and fully qualified for all types of domestic and commercial carpet cleaning. Our Battle carpet operatives arrive fully equipped, in brand new vehicles, are always on-time, polite, clean and tidy whilst cleaning in your home. When the carpet cleaning technician arrives at your premises they will initially have a quick inspection of any soiling on your carpet. A pre-spray treatment will be applied quickly followed by a hot water extraction cleaning process. To finish, our technicians use carpet dryers in each room of your house to make sure your carpets are dry in the quickest possible time. We offer fixed price quotes for most Battle carpet cleaning jobs. You can telephone our customer care team on 0800 023 5205 and book directly on the website. If you need a custom quote or your job requirements are not available in our online booking system please feel free to send an enquiry using the free quote form. Are you a resident of Battle, thinking of having your carpets cleaned by AAAClean and wondering how we do the job? 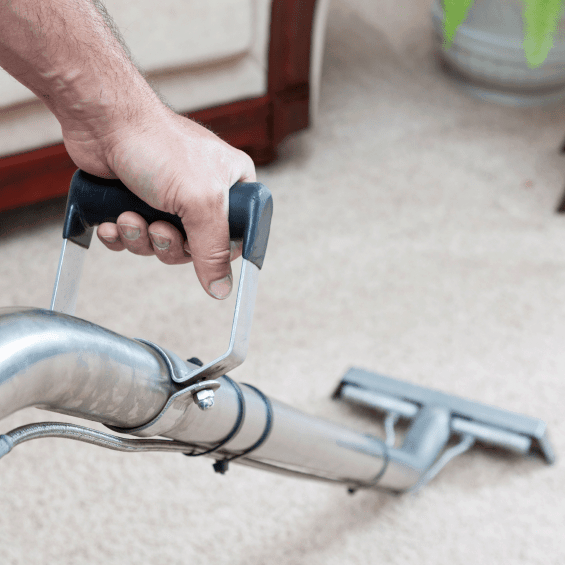 If you have carpets in your home and you want to keep them in the very best condition for as long as possible, it makes perfect sense to hire a carpet cleaning Battle company, such as AAAClean, to come in and deep clean them. We are a professional business with more than 10 years’ experience in the carpet cleaning industry. Look at our reviews and you’ll see all the satisfied customers’ we have across Battle and East Sussex. If you hire us to provide you with a standard carpet cleaning service, we will thoroughly clean your carpets and leave them looking and smelling fantastic. At an additional cost, we can remove particular odours from your carpets, such as cigarette smoke and pet urine by using Prochem sanitisers and deodorisers alongside a deep carpet clean. When we have finished cleaning your carpet, we can apply a stain protection solution to guard against future staining. We can also apply an insecticide solution, to stop the risk of carpet beetles, bed bugs and dust mites from living in your carpet. Whatever level of carpet cleaning service you require, we only ever use the best hot water extraction (HWE) machines and cleaning solutions. When we arrive at your property, we will look at the carpets that need to be cleaned and point out any areas that may be difficult to clean due to heavy staining. All of our Battle carpet cleaning operatives carry high quality stain removers and can shift even the most stubborn stains, such as red wine, coffee and blood. We will never try and charge extra for stain removal as it is part and parcel of carpet cleaning. Our carpet cleaning operatives will always correctly prepare your carpet before their HWE machine is even switched on. They will firstly remove any furniture that can be moved from the rooms being cleaned. They will then treat any difficult to remove stains with the relevant stain removal solution. The last part of the preparation work involves the cleaner spraying the carpets with traffic lane cleaner, before using an agitator tool to lift the carpet pile. When the prep work is done, the carpet cleaning operative will use a powerful HWE machine to deep clean your carpets. Our machines have inline heaters built into them, so even if your property only has a cold water supply, our Battle carpet cleaners will be using hot water to clean your carpets. The cleaner will use the hot water mixed with cleaning solutions to clean your carpets to the very bottom of its fibres – something that is not possible when using other cleaning methods, such as bonnet cleaning, foam encapsulation or dry cleaning. Unlike other carpet cleaning methods, hot water extraction or “steam cleaning” will leave your clean carpets virtually dry. Contact AAAClean today for professional Battle carpet cleaning on 0800 023 5205 or book instantly online. Professional carpet cleaners servicing: Ashburnham, Battle, Burwash, Dallington, Ewhurst Green, Guestling Thorn, Johns Cross, Mountfield, Netherfield, Robertsbridge, Salehurst, Sedlescombe, Staplecross, Ticehurst, Westfield and Whatlington.